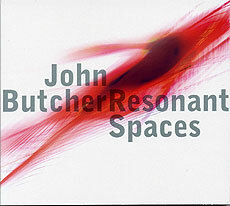 John Butcher, acoustic and feedback tenor saxophone, acoustic, amplified and feedback soprano saxophone. Recorded in Scotland and Orkney in June 2006: 20 June at Standing Stones of Stenness, Orkney Mainland (track 3); 21 June at Lyness oil tank, Hoy (tracks 6, 9); 23 June at Smoo Cave, Durness (tracks 5, 7); 25 June at Tugnet Ice House, Spey Bay (track 8); 28 June at Wormit Reservoir, Fife (track 2); and 29 June at Hamilton Mausoleum, South Lanarkshire (tracks 1, 4). Design (front cover reproduced above) by Damien Beaton.